Hi everyone, today we’re going to be taking a look at some of the most popular rugged outdoor watches for men. For this I’ve decided to pick a tough and durable brand that produce a wide range of affordable watches in this area. 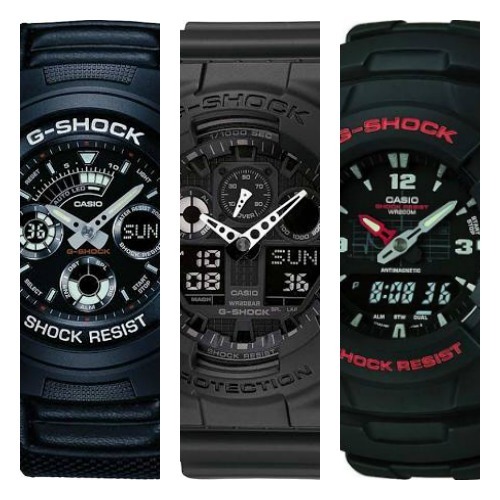 And that will be the G-Shock range by Casio. Another popular brand for outdoor watches that I’d recommend looking at is Luminox, they produce some very high quality watches but I felt they didn’t fit into the affordable nature of today’s article. If you have any questions about any of the watches featured here today just comment below and I’ll get back to you as soon as I can. 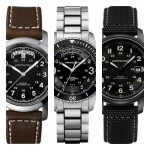 With that being said, enjoy today’s list of the best rugged outdoor watches for men. First up on today’s list of the best rugged outdoor watches for men is this popular dual display affordable G-Shock timepiece. The timepiece is built with a large 48mm casing that’s made of stainless steel and covered in a protective rugged resin. This is a chunky men’s watch with a thickness of 15mm. The strap if also made of a sturdy rubber and fastens with a buckle type clasp. The dial has a dual display which showcases both an analogue and digital time. Around the outer part of the dial is a mixture of numeral and baton style hour markers which are easilly visible on the display. This men’s durable watch is powered by a reliable and accurate Japanese quartz movement. A mineral crystal glass is used to protect the watch as it has a better shatter resistance than sapphire glass, making mineral more ideal for outdoor watches. Extra features of this men’s rugged watch include an alarm, stopwatch, backlight, dual time, and an impressive 200m water resistance rating. 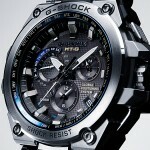 You can read my full G-Shock G-100-1BVMUR review here soon. 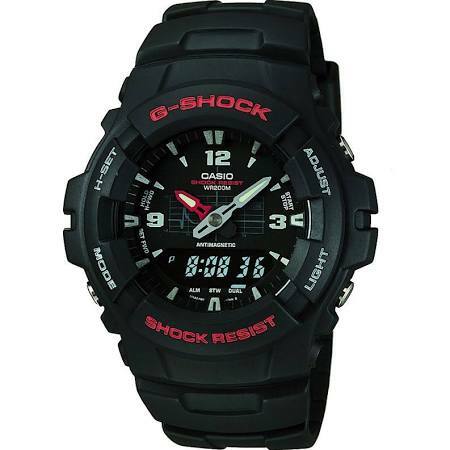 Next up we have another popular G-Shock outdoor watch from Casio. Just like the previous model this watch has an oversized 52mm casing diameter with a thickness of 19mm making it quite a chunky timepiece. The casing is made of stainless steel with a thick protective resin that coats it. The strap of this men’s chunky watch is also made from a sturdy resin and fastens with a buckle style clasp. 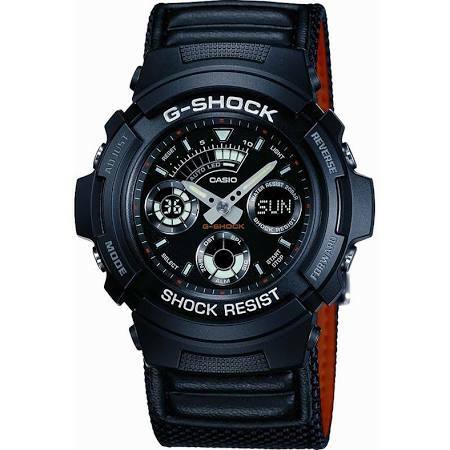 This men’s G-Shock Casio watch is powered by a chronograph quartz movement for reliable and accurate timekeeping. There are various useful functions that come with this watch that can be seen through the details on the dual display dial. Features include a multiple time zone display, stopwatch, countdown timer, auto-LED light, and a 200m water resistance rating. 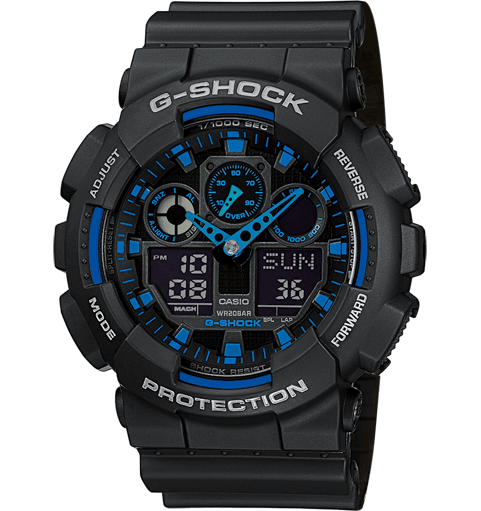 This is one of my favourite affordable G-Shock outdoor durable watches for men. This featured in our best watches for teens list and has remained a popular affordable timepiece. This men’s rugged watch is built with a durable 47mm casing that has a thickness of 15mm, this is made of stainless steel with a thick protective resin coating. The strap is made of a comfortable fabric nylon and fastens with a buckle style clasp. 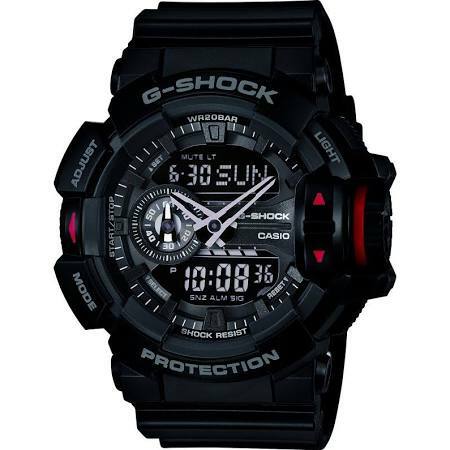 This men’s Casio G-Shock watch uses a hybrid digital analogue display to show all the information from the various features available on this timepiece. Features of this men’s outdoor watch include a chronograph, timer, alarm, backlight, and world time display. It also has an impressive 200m water resistance rating. 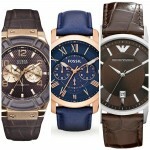 Why not check out more of the best analog digital men’s watches here. The movement is powered by a Japanese quartz chronograph for reliable and accurate timekeeping. It also has a mineral crystal glass protecting the dial which offers a good level of scratch and shatter resistance. You can read my full G-Shock AW-591MS-1AER review here. 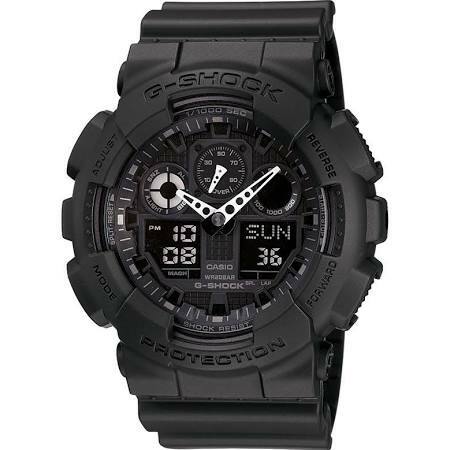 In at number 4 we have another popular rugged outdoor watch from Casio’s G-Shock collection. It’s a oversized timepiece with a casing diameter of 51mm and a thickness of 17mm. This casing is made of stainless steel with a thick protective resin that protects it. The strap is also made of a durable resin and fastens with a buckle style clasp. Like many of the previous men’s G-Shock affordable watches featured in today’s list, this timepiece also has a dual display. I like the use of all the blue detailing they’ve gone for on this model. And I’m a fan of this hand design too with the hollowed out sections. At the heart of this watch is a reliable Japanese quartz movement that gives you accurate timekeeping. As you’d expect from a G-Shock watch there are also plenty of extra handy features. These include a stopwatch, alarm, countdown timer, average speed, illuminated display, and a 200m water resistance rating. You can read my full G-Shock GA-100-1A2ER watch review here. Last up in our list of the best rugged outdoor watches for men is this black and white extra large oversized G-Shock timepiece. The watch features a large 55mm stainless steel casing that’s coated with a thick durable resin. The casing has a thickness of 17mm making it a fairly chunky watch. It’s another dual display watch from Casio with a black and white dial design. The can display information from the various features and functions available on the watch. These include a chronograph, 5 daily alarms, countdown timer, world time display, perpetual calendar, date, LED backlight, tacymeter, and a 200m water resistance rating. This is all powered by a reliable Japanese made quartz movement. This is an affordable G-Shock watch that’s proven to be an extremely popular timepiece for those seeking durable rugged outdoor watches. You can read my full Casio G-Shock GA-100-1A1ER review here soon. Thanks for taking the time to read through today’s list of the best outdoor rugged watches for men. I enjoy putting together lists of affordable watches more than anything else. If you want to see more maybe you should check out some of the lists available below.